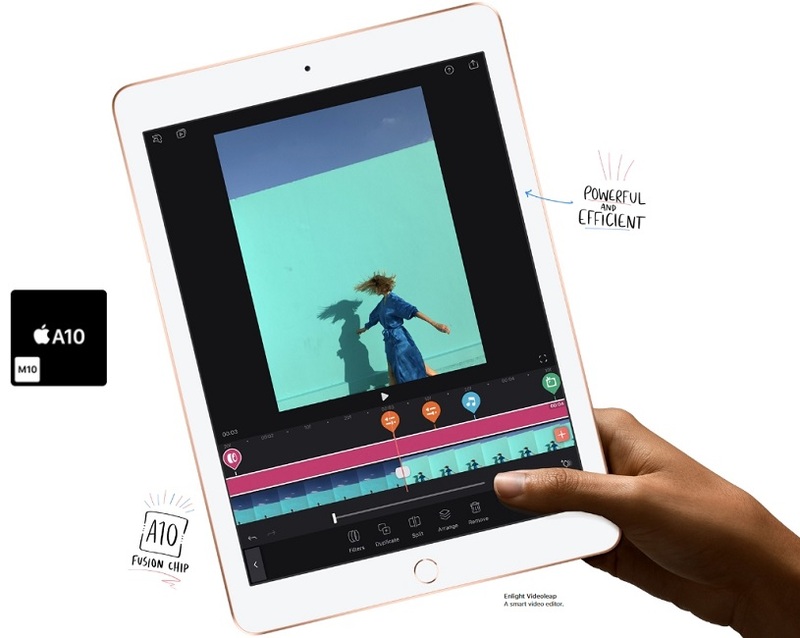 Create, learn, and play like never before with the Apple iPad. It features Augmented Reality Technology and has pixel-perfect precision Apple pencil support that lets you draw, paint, and interact with virtual objects just like you do in real world. It also boasts of two powerful cameras that enable you to capture impressive images. This iPad renders beautiful pictures on its 9.7inch Retina display screen and comes with inbuilt stereo speakers that will, making it perfect for your daily entertainment and work needs. The A10 Fusion chip and embedded M10 coprocessor allow for a smooth running of apps and games, while the built-in 32.4WHr rechargeable Lithium-Polymer battery ensures long hours of trouble-free use. 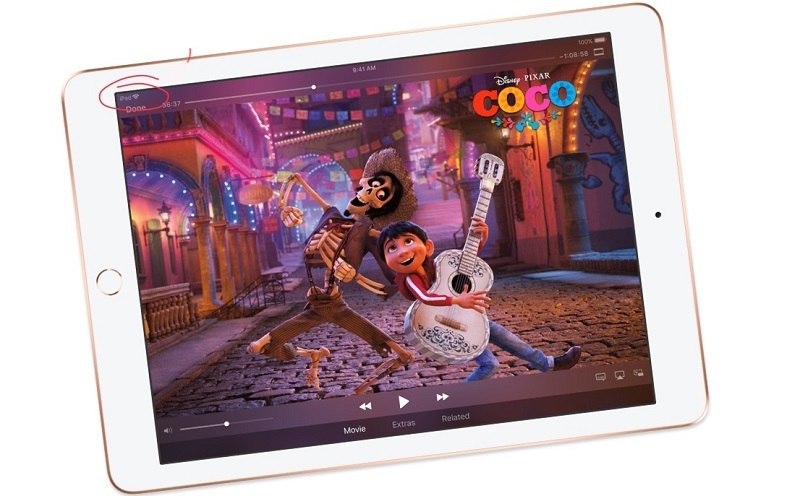 This Apple iPad has a 9.7inch LED-backlit Retina display that renders images at an impressive 2048 x 1536p resolution at 264ppi, giving you a true-to-life experience. It also has a fingerprint-resistant oleophobic coating on the screen for keeping it scratch-free. Moreover, this iPad includes support for Apple Pencil that makes it more functional for creative tasks like drawing, taking notes, and more. Built-in front and back cameras allow you to shoot gorgeous photos and cinematic videos, scan documents, make FaceTime calls, or even create a floor plan using augmented reality The 8MP rear shooter with auto image stabilization lets you capture bright and beautiful images, while the 1.2MP front camera makes it ideal for taking great selfies. 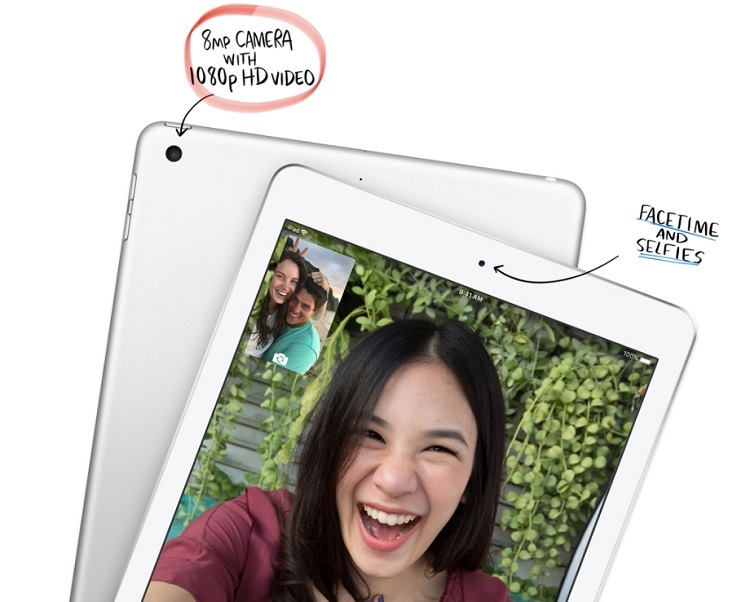 It also enables you to record 1080p videos and Slo-mo videos at 120fps. Apple iPad comes with new features and advanced capabilities that will help you get more work done quickly and easily. It features augmented reality technology that transforms the way you work, learn, play, and connect with the outside world, immersing yourself in entertainment as you have never imagined. You can use this technology in your daily life, like putting furniture into your space to see how it looks and fits in your home, bring virtual monsters to life, solve problems, effortlessly navigate places, and much more.